The new ad hoc file-sharing service – similar to Apple's AirDrop – is included in the latest Windows 10 Insider (Build 17035) and is likely to be available for non-Insider users next year. 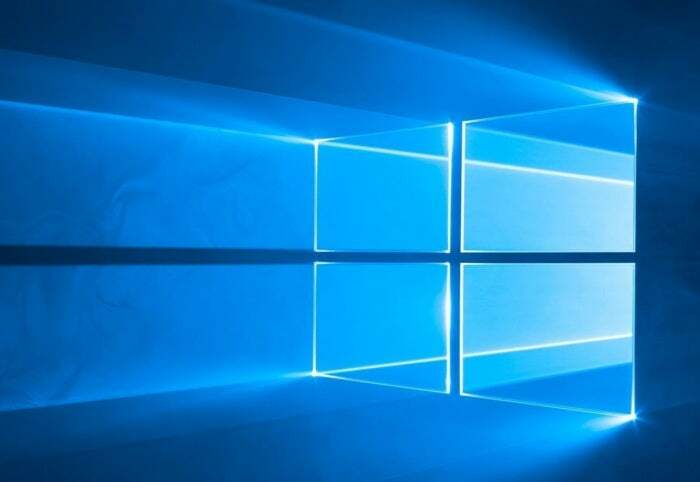 Microsoft last week rolled out another Windows 10 preview, a regular occurrence in its Insider program, that featured a handful of additions to the under-construction OS. One of those, called "Near Share," is a simple wireless service meant for impromptu file transfer between devices. The easiest way to pigeonhole Near Share is to think of it as Microsoft's belated doppelgänger of Apple's "AirDrop," the share service that debuted on Macs, iPhones and iPads six years ago. Although AirDrop is one of the most under-used tools in macOS and iOS, there's no reason Near Share has to follow suit on Windows 10. That's why Computerworld dug up information on the feature now, rather than wait for its debut next year. What is Near Share anyway? Near Share is Microsoft's name for its ad hoc file transfer feature in Windows 10. Like Apple's AirDrop, which it resembles, Near Share is a file transfer service that works only between nearby devices. It's designed for occasional inter-device transfer where simplicity and convenience are paramount. Rather than email a presentation from one device to another, for example, or upload to an online storage service or the network, Near Share lets one user zip the file directly from his or her PC to a colleague's. How does Near Share work? Not to beat the comparison horse, but again, it works much like AirDrop, the iOS and macOS file-sharing feature. Near Share relies on both Bluetooth and Wi-Fi, or Bluetooth alone, to sniff out nearby devices, create an ad hoc peer-to-peer network, then transfer the file. Like AirDrop, Windows 10's Near Share uses Bluetooth to broadcast the presence of the sharing-enabled device, detect other ready devices, then negotiate the connection between the two. For all but the smallest files - which are transmitted via Bluetooth - Near Share moves the file over a point-to-point Wi-Fi link. That Wi-Fi connection uses the Wi-Fi Direct peer-to-peer (P2P) industry standard. How far will Near Share transfer files? Microsoft doesn't say, but Bluetooth - the limiting factor here - can reach as far as 300 feet. Most Bluetooth, however, maxes out at an effective range that's considerably less. Apple, for instance, recommends that AirDrop be used only when devices are within 30 feet of each other. What's necessary for Near Share to work? Microsoft debuted the file transmission in Build 17035 of its Windows 10 Insider program, released Nov. 8. Devices on both ends of the transfer must be running that or a later build of Insider. The feature must also be enabled on both devices by toggling the "Near Share" switch under the "Shared Experiences" section of Settings. Bluetooth and Wi-Fi radios must also be present in both devices. A Wi-Fi connection to the Internet, or even a Wi-Fi network, is not necessary. One of the advantages of Near Share, like Apple's AirDrop (there we go again, comparing), is that Wi-Fi Direct, the standard both rely on to make most transfers, does just what its name implies: It creates a direct link from one PC to another, circumventing any Wi-Fi router, if there is one nearby. Data is transmitted between the two devices, not the round-about path from one device to the Wi-Fi router, then to the Internet in general, back to the router, finally reaching the second device. When will Near Share reach non-Insider Windows 10? It's likely to show up in four or five months. That's when the next feature upgrade, likely labeled 1803 in Microsoft's yymm marking, will release. It's unclear whether 1803 will actually launch in March - Microsoft's target month for the first upgrade of each year - or in April, approximately six months after the previous version that started shipping just four weeks ago. How are files transferred with Near Share? Because the feature integrates with Windows 10's Share component, in first-party apps like Edge and Photos, clicking on the Share icon begins the process of transferring the current web page or photograph. In File Explorer - which will be the logical starting place for many transfers - the Share selection shows in the resulting menu after right-clicking a file. Since Near Share is available in the Windows 10 preview, only Microsoft-made apps offer ad hoc transfer. Third-party apps, however, may be able to be retrofitted using an existing API (application programming interface). It's possible some may be available when 1803 launches next year. After the user chooses the target device from a list of eligible PCs, the user initiates the process. The recipient receives a notification of an impending file transfer, and may decline to terminate the action. Can Near Share be used with Apple's AirDrop for Windows 10-to-iOS file sharing? Great question. Short answer: We don't know. It's tempting to speculate that the two might work together - letting an iPhone owner quickly transfer a file to a co-worker's Windows 10 PC - what with the similarities of the two processes. But call us skeptical. It would be more like Microsoft to instead build something of its own that would run on iOS (and/or Android) to connect the sans-smartphone Windows environment with others' mobile operating systems.